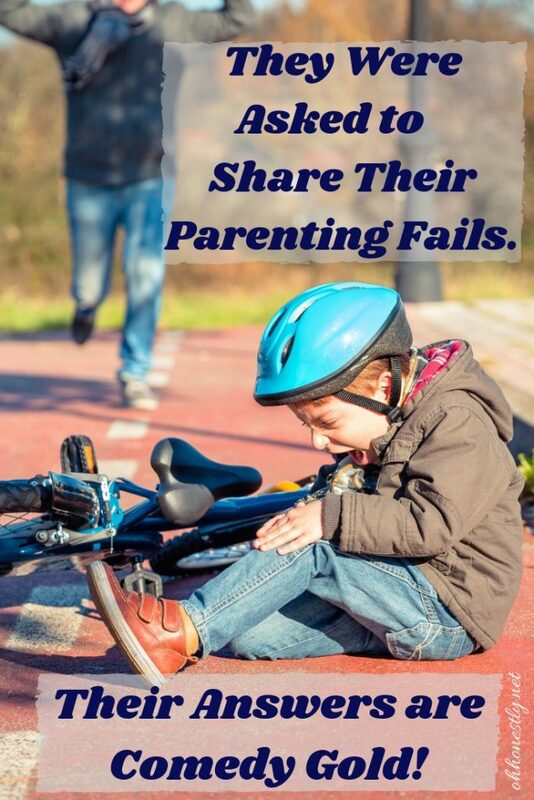 They Were Asked to Share Their Parenting Fails. Their Answers Are Comedic Gold. When you become a parent, it’s almost like a switch flips and a protective side you didn’t know existed goes into high gear. You would do anything to keep your child safe, from jumping in front of a moving train to fighting off a bear with your own two hands. This instinct to protect our children is something we usually just assume will take over in dangerous situations. But what about those times when it doesn’t? What about the times when the instinct to protect ourselves overpowers the instinct to protect our children? Feeling like a bad mom? Quokkas toss their babies at predators so they can escape. I laughed and decided to share it on my Facebook page. As I began to write a message to go along with the meme, I was suddenly reminded of one of my not-so-shining parenting moments, one of those moments when self-preservation trumped motherly protection. I only hesitated a moment before typing it out and publishing it on my page. After all, the whole reason I write is to present a real look at motherhood, the good and the bad. However, I didn’t just leave it at that. I asked other parents to share their moments of awful parenting too. You know, solidarity and all of that. I wasn’t sure what to expect, wasn’t sure if anyone would be willing to paint themselves in a bad light. But perhaps my own confession gave them the strength they needed because the comments started flooding in. While watching a soccer game the ball got kicked toward us. I ducked leaving my 3 year old to get hit in the face. The burglar alarm went off and I ran out the front door 😩 Also, my third son’s first word was SpongeBob. 8 year old is using the toilet yells mom, what is that? I go in followed by 2 year old. It’s a huge wolf spider. I turn and ran, screaming for my husband, almost trampled the 2 year old and only scooped her up because she was in my way! Left the 8 year old crying don’t leave me!! 😂 😂 😂 We all laugh about it now! My grandmother left my sister at a garage sale when she was around 4. Sad part I was there too around 8 and was talking to my gramma. Didn’t notice until we got to the next sale that she wasn’t in the car. Drove back 100 miles an hour and she was still playing with the sale toys. My gramma is still traumatized. I still laugh! My sister doesn’t…. hmmmm. If you’re in need of a laugh today, I highly recommend reading through the rest of the comments. Not only will they provide some comedy for your day, they’ll also make you feel like you’re nailing motherhood- or at the very least, not the only one who has moments of totally sucking at it. While you’re there, leave your own stories in the comments too!